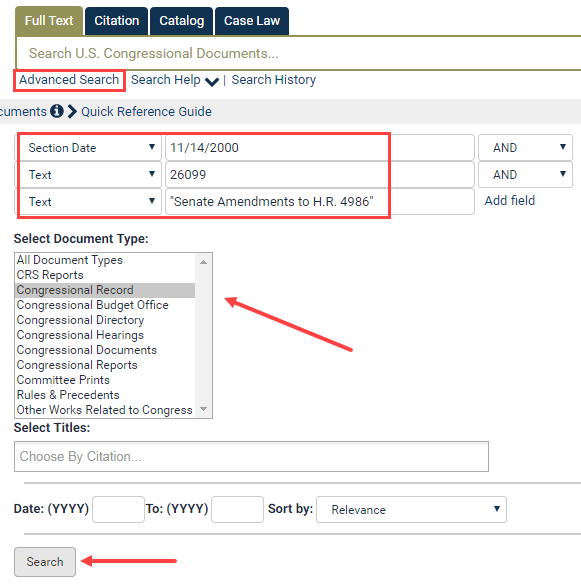 How do I Search for a specific date, page number, and term in the Congressional Record? When searching for a specific date using the Section Date field, you must enter the date in the following format: MM/DD/YYYY (i.e. 11/14/2000). Now, let’s narrow our search to look specifically for the Senate Amendment on page 26099. Enter 11/14/2000 into the first search field, select Section Date from the drop down menu. In the next row, select Text from the drop-down, and enter 26099 into the search box. In the next row, select Text from the dropdown, and enter “Senate Amendment to H.R. 4986” into the search box. 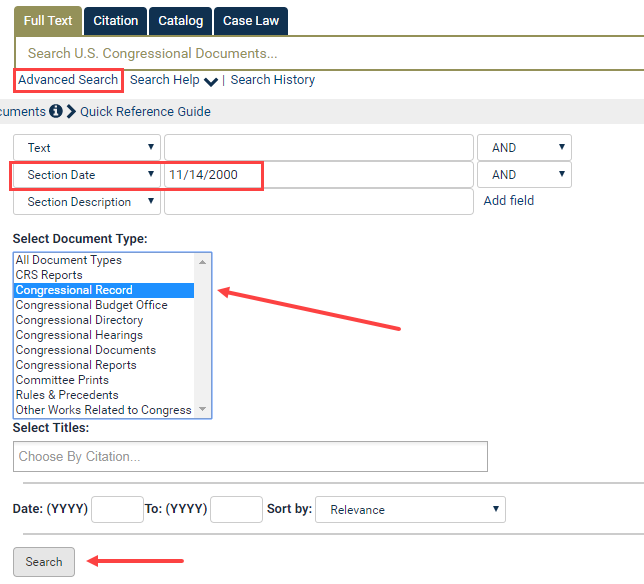 Select Congressional Record from the title listing and click search. Can I change my HeinOnline username and password? How can I make links to articles in HeinOnline? How do I contact HeinOnline support? How do I find a House or Senate report in HeinOnline? How do I view a treaty summary when I am viewing the full text of the treaty?